Wow, how are we on week four already? Time is certainly flying by. 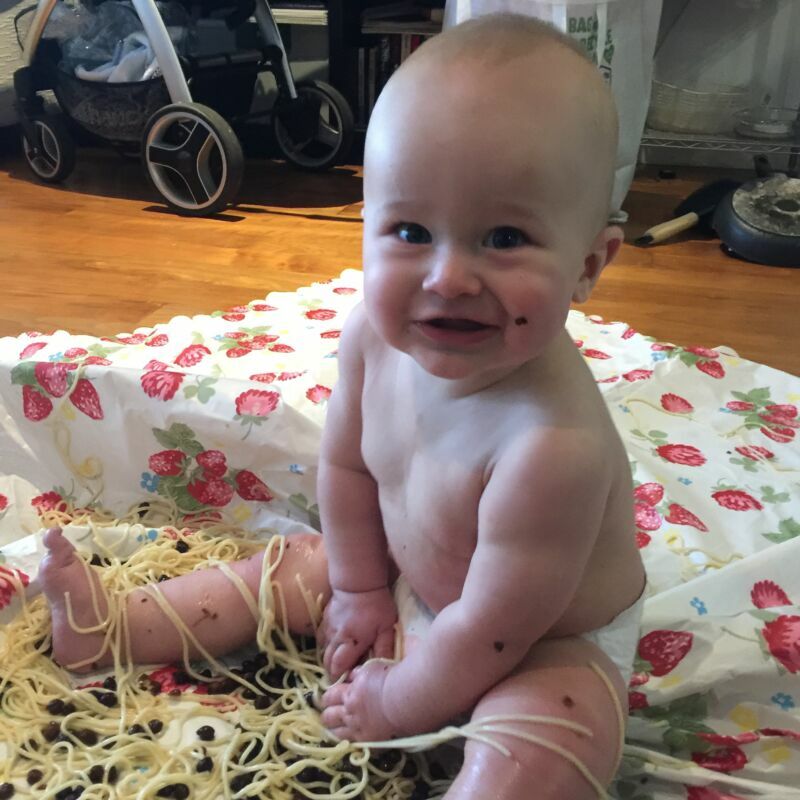 This week we enjoyed some messy play with some spaghetti and Kala Chana beans. I started by placing the cooked food in a laundry tub but then quickly realised Dex is FAR too tall to squeeze into one of those tubs. Instead, I placed a plastic table cloth on the floor and poured the spaghetti and beans all over it. Dex was certainly in his element. He ate ALOT of the spaghetti (pretty sure this contributed to him being constipated for a day or so after this) and squished the beans with his fingers. It was a lot of fun and we had a nice cuddly bath together afterwards to clean up. Looks like fun – shame about the constipation! Love a bit of messy play (although the dog would eat all of this if I attempted it at home!). Their faces with spaghetti or noodles is my favourite! He looks so happy here!